"Harold I" redirects here. For other uses, see Harald I (disambiguation). 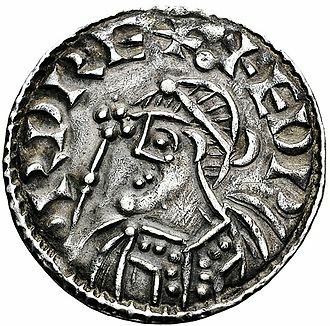 Harold I (c. 1016 – 17 March 1040), also known as Harold Harefoot, was King of England from 1035 to 1040. Harold's nickname "Harefoot" is first recorded as "Harefoh" or "Harefah" in the twelfth century in the history of Ely Abbey, and according to late medieval chroniclers it meant that he was fleet of foot. Harold died in 1040, having ruled just five years; his half-brother Harthacnut soon returned and took hold of the kingdom peacefully. Harold was originally buried in Westminster, but Harthacnut had his body dragged up and thrown into a "fen" (marsh), as well as then thrown into the river Thames, but it was after a short time picked up by a fisherman, being immediately taken to the Danes, and was honourably buried by them in their cemetery at London. 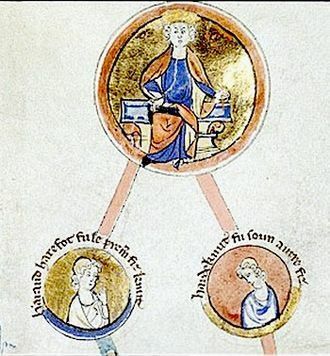 Harold died at Oxford on 17 March 1040 at the young age of 24, just as Harthacnut was preparing an invasion force of Danes, and was buried at Westminster Abbey. His body was subsequently exhumed, beheaded, and thrown into a fen bordering the Thames when Harthacnut assumed the throne in June 1040. The body was subsequently recovered by fishermen, and resident Danes reportedly had it reburied at their local cemetery in London. The body was eventually buried in a church in the City of Westminster, which was fittingly named St. Clement Danes. 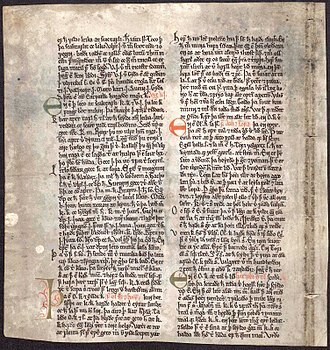 A contradictory account in the Knýtlinga saga (13th century) reports Harold buried in the city of Morstr, alongside his half-brother Harthacnut and their father Cnut. While mentioned as a great city in the text, nothing else is known of Morstr. The Heimskringla by Snorri Sturluson reports Harold Harefoot buried at Winchester, again alongside Cnut and Harthacnut. The cause of Harold's death is uncertain. Katherine Holman attributes the death to "a mysterious illness". An Anglo-Saxon charter attributes the illness to divine judgment. Harold had reportedly claimed Sandwich for himself, thereby depriving the monks of Christchurch. Harold is described as lying ill and in despair at Oxford. When monks came to him to settle the dispute over Sandwich, he "lay and grew black as they spoke". The context of the event was a dispute between Christchurch and St Augustine's Abbey, which took over the local toll in the name of the king. There is little attention paid to the illness of the king. Harriet O'Brien feels this is enough to indicate that Harold died of natural causes, but not to determine the nature of the disease. The Anglo-Saxons themselves would consider him elf-shot (attacked by elves), their term for any number of deadly diseases. Michael Evans points out that Harold was only one of several youthful kings of pre-Conquest England to die following short reigns. Others included Edmund I (reigned 939–946, murdered at age 25), Eadred (reigned 946–955, died at age 32), Eadwig (reigned 955–959, died at age 19), Edmund Ironside (reigned 1016, murdered at age 26), and Harthacnut (reigned 1040–1042, who would die at age 24). Evans wonders whether the role of king was dangerous in this era, more so than in the period after the Conquest, or whether hereditary diseases were in effect, since most of these kings were members of the same lineage, the House of Wessex. ^ a b c Cawley 2010, Cawley, Charles, Canute, King of England, Medieval Lands database, Foundation for Medieval Genealogy ,[self-published source][better source needed].Also covers his wife and children. ^ "Earl Leofric and almost all the thegns north of the Thames, and the men of the fleet in London"
^ a b c d Tim Bolton, "Reign of King Harold Harefoot", The Literary Encyclopedia, 5 May 2006. ^ a b c Frank Stenton, Anglo-Saxon England, Oxford University Press (1998 paperback), pages 420–421; quoted segments from the Anglo-Saxon Chronicle. ^ a b The Anglo-Saxon Chronicle, 1035–40, M. Swanton translation (1996). 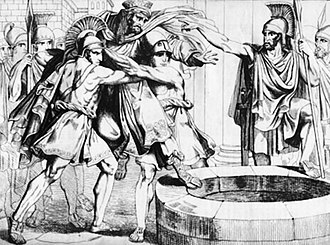 ^ This may have been motivated partly in response to the murder of Alfred, Harthacnut's half-brother, and partly for his perceived theft of the crown. ^ Saturday Review, article Saint Clement Danes, page 121. Text originally published on January 23, 1869. ^ ASC manuscript E, 1039 (1040); for the calculation, see Swanton's translation, page 161, note 18. Hunt, William (1890). "Harold (d.1040)" . In Stephen, Leslie; Lee, Sidney. Dictionary of National Biography. 24. London: Smith, Elder & Co.
Wikisource has the text of the 1911 Encyclopædia Britannica article Harold I.. The history of Christianity in Britain covers the religious organisations, policies and popular religiosity since ancient times. 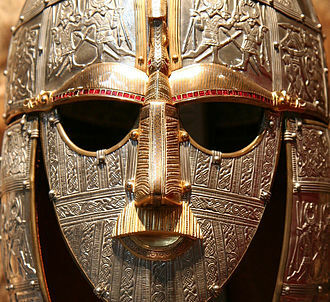 The early history of Christianity in Britain is highly obscure, the Saxon invasions of Britain destroyed most of the formal church as they progressed, replacing it with a form of Germanic polytheism. There seems to have been a lull traditionally attributed to the Battle of Badon but, following the arrival of Justinians Plague around 547, by the time Cornwall was subjugated by Wessex at Hingston Down in 838, however, it was largely left to its native people and practices. 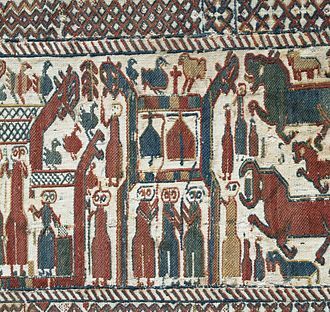 Christianity was largely reintroduced to Britain by the Gregorian Mission, c. 600, early English Christian documents surviving from this time include the 7th-century illuminated Lindisfarne Gospels and the historical accounts written by the Venerable Bede. By the 11th century, the Normans had overrun England and begun the annexation of Wales, although John quickly reneged on his payments, Innocent thereafter took his side and roundly condemned the Magna Carta, calling it not only shameful and demeaning but illegal and unjust. A major reform movement or heresy of the 14th century was Lollardy, led by John Wycliffe, posthumously condemned, his body was exhumed and burnt and its ashes thrown into the River Swift. Even before the Conquest, Edward the Confessor had returned from Normandy with masons who constructed Westminster Abbey in the Romanesque style, the cruciform churches of Norman architecture often had deep chancels and a square crossing tower, which has remained a feature of English ecclesiastical architecture. England has many cathedrals, most notably York Minster, Durham Cathedral. After a fire damaged Canterbury Cathedral in 1174, Norman masons introduced the Gothic style and Cambridge began as religious schools in the 11th and 13th centuries, respectively. 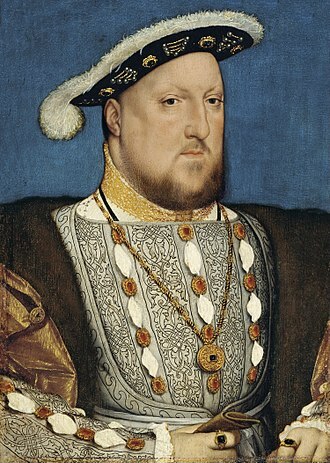 Henry VIII was named Defender of the Faith for his opposition to Luthers Reformation, a law passed the same year made it an act of treason to publicly oppose these measures, SS John Fisher and Thomas More and many others were martyred for their continued Catholicism. Religious rebellions in Lincolnshire and Yorkshire in 1536, in Cumberland in 1537, laws in 1535 and 1542 fully merged Wales with England. For the next 150 years, religious policy varied with the ruler, Edward VI and his regents favored greater Protestantism, including new books of Common Prayer and Common Order. 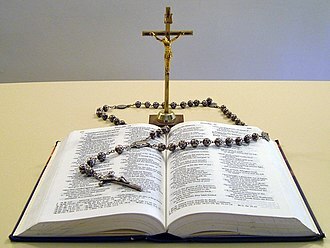 His sister Mary restored Catholicism after negotiations with the pope ended Romes claims to the church lands. The vicissitudes of the clergy during the period were satirized in The Vicar of Bray, Charles I provoked the Bishops Wars in Scotland and ultimately the Civil War in England. The victorious Long Parliament restructured the church at the 1643 Westminster Assembly, following the Restoration, onerous Penal Laws were enacted against nonconformists, including the Clarendon Code. The religious settlement of 1689 shaped policy down to the 1830s, the Church of England was not only dominant in religious affairs, but it blocked outsiders from responsible positions in national and local government, business and academe. Ely Cathedral is an Anglican cathedral in the English city of Ely, Cambridgeshire. The cathedral has its origins in AD672 when St Etheldreda built an abbey church, the present building dates back to 1083, and cathedral status was granted it in 1109. It is the seat of the Bishop of Ely and a suffragan bishop, architecturally it is outstanding both for its scale and stylistic details. Having been built in a monumental Romanesque style, the porch, lady chapel. Ely Cathedral is a major tourist destination, receiving around 250,000 visitors per year, Ely Abbey was founded in 672, by Æthelthryth, daughter of the East Anglian King Anna. It was a community of men and women. 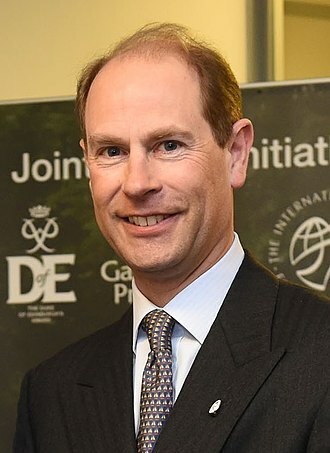 Later accounts suggest her three successor abbesses were members of the East Anglian Royal family. 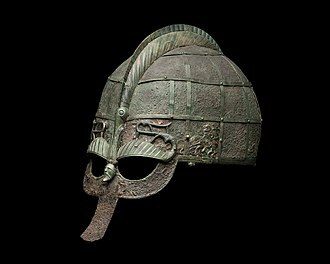 In centuries the depredations of Viking raids may have resulted in its destruction and it is possible that some monks provided a continuity through to its refoundation in 970, under a Benedictine rule. The precise siting of Æthelthryths original monastery is not known, the presence of her relics, bolstered by the growing body of literature on her life and miracles, was a major driving force in the success of the refounded abbey. The church building of 970 was within or near the nave of the present building, ermenilda of Ely was an Abbess here, as well, after her husband Wulfhere of Mercia died in 675. The cathedral is built from stone quarried from Barnack in Northamptonshire, with decorative elements carved from Purbeck Marble, the plan of the building is cruciform, with an additional transept at the western end. The total length is 537 feet, and the nave at over 75 m long remains one of the longest in Britain, the west tower is 66 m high. The unique Octagon Lantern Tower is 23 m wide and is 52 m high, from the floor to the central roof boss the lantern is 43 m high. It is known locally as the ship of the Fens, because of its prominent position above the flat landscape. However the imposition of Norman rule was particularly problematic at Ely, under the Normans almost every English cathedral and major abbey was rebuilt from the 1070s onwards. If Ely was to maintain its status it had to initiate its own building work, and he was the brother of Walkelin, the Bishop of Winchester, and had himself been Prior at Winchester Cathedral when the rebuilding began there in 1079. 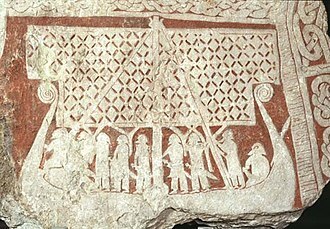 The Viking runestones are runestones that mention Scandinavians who participated in Viking expeditions. However, it is likely all of them do not mention men who took part in pillaging. 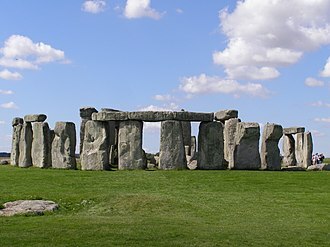 The inscriptions were all engraved in Old Norse with the Younger Futhark, the largest group consists of 30 stones that mention England, and they are treated separately in the article England runestones. The runestones that talk of voyages to eastern Europe, the Byzantine Empire and it is classified as being carved in runestone style RAK. This is considered to be the oldest style, and is used for inscriptions with text bands that have straight ends without any attached serpent or beast heads. Latin transliteration, Old Norse transcription, Vikætill ok Ossurr u ræisa stæin þenna æftiʀ Øystæin, Hann fors uti með alla skipan. English translation, Véketill and Ôzurr had this stone raised in memory of Eysteinn and he perished abroad with all the seamen. This runestone was a boulder which was located at Gådersta, and it was possibly in runestone style Pr4, which is known as Urnes style. In this style the bands end in serpert or beast heads depicted in profile. Latin transliteration, Old Norse transcription, Gislaug let haggva at sun sinn, Spiallbuði, Ulfʀ, Holmfastr, Gæiʀi, þæiʀ at broður sinn Þiagn, fors uti, ok at Biorn, faður sinn. This runestone is an inscription carved in runestone style RAK with a cross above the text bands. It is located in Ubby and it was raised in memory of a father and this man had participated in Viking expeditions both in the west and in the east. English translation, Ketilfastr raised this stone in memory of Ásgautr and he was in the west and in the east. This runestone carved in runestone style Pr1 is located at Tibble and it appears to be raised in memory of a man who died in the retinue of the Viking chieftain Freygeirr. Latin transliteration, auk, stnfriþ, arisa s--n, kisila, uti, fial, i liþi, frekis * Old Norse transcription, Hann uti fioll i liði Frøygæiʀs. English translation, Bjôrn and Steinfríðr had the stone raised in memory of Gísli and he fell abroad in Freygeirrs retinue. A sceptre or scepter is a symbolic ornamental staff or wand held in the hand by a ruling monarch as an item of royal or imperial insignia. 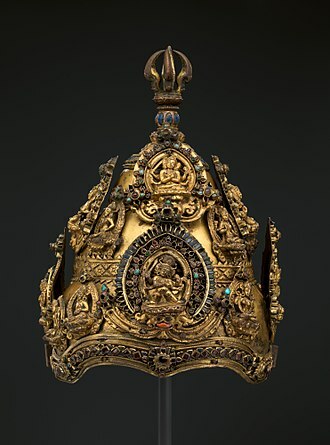 Figuratively, it means royal or imperial authority or sovereignty, either right or cruel, the ancient Indian work of Tirukkural dedicates a separate chapter each on the ethics of the right sceptre and the evils of the cruel sceptre. The Was and other types of staffs were signs of authority in Ancient Egypt, for this reason, they are often described as sceptres, even if they are full-length staffs. One of the earliest royal sceptres was discovered in the 2nd Dynasty tomb of Khasekhemwy in Abydos, kings were known to carry a staff, and Pharaoh Anedjib is shown on stone vessels carrying a so-called mks-staff. The staff with the longest history seems to be the heqa-sceptre, the Bronze Age rulers of Mesopotamia are not regularly depicted with sceptres. However, in instances, they are shown armed, with bow and arrow. Use of a rod or staff as representing authority can be traced to the beginning of Classical Antiquity. Among the early Greeks, the sceptre was a staff, such as Agamemnon wielded or was used by respected elders, and came to be used by judges, military leaders, priests. It is represented on painted vases as a staff tipped with a metal ornament. When the sceptre is borne by Zeus or Hades, it is headed by a bird, when, in the Iliad, Agamemnon sends Odysseus to the leaders of the Achaeans, he lends him his sceptre. Among the Etruscans, sceptres of great magnificence were used by kings, many representations of such sceptres occur on the walls of the painted tombs of Etruria. The British Museum, the Vatican, and the Louvre possess Etruscan sceptres of gold, the Roman sceptre probably derived from the Etruscan. Under the Republic, a sceptre was a mark of consular rank. 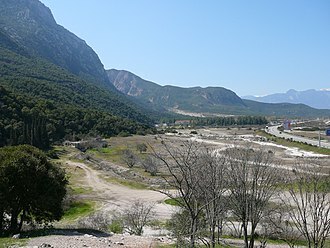 It was used by generals who received the title of imperator. 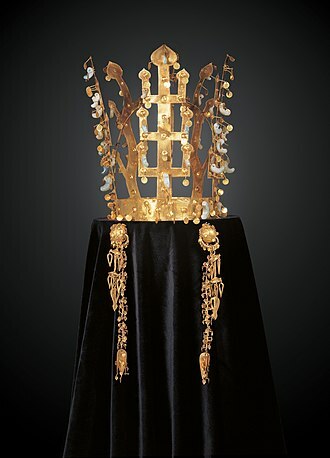 In the First Persian Empire, the Biblical Book of Esther mentions the sceptre of the King of Persia. Esther 5,2 When the king saw Esther the queen standing in the court, she obtained favor in his sight, so Esther came near, and touched the top of the scepter. Snorri Sturluson was an Icelandic historian and politician. He was elected twice as lawspeaker at the Icelandic parliament, the Althing and he was the author of the Heimskringla, a history of the Norwegian kings that begins with legendary material in Ynglinga saga and moves through to early medieval Scandinavian history. For stylistic and methodological reasons, Snorri is often taken to be the author of Egils saga, as a historian and mythographer, Snorri is remarkable for proposing the hypothesis that mythological gods begin as human war leaders and kings whose funeral sites develop cults. As people call upon the war leader as they go to battle, or the dead king as they face tribal hardship. Eventually, the king or warrior is remembered only as a god and he proposed that as tribes defeat others, they explain their victory by proposing that their own gods were in battle with the gods of the others. Snorri Sturluson was born in Hvammur into the wealthy and powerful Sturlungar family of the Icelandic Commonwealth and his parents were Sturla Þórðarson the elder of Hvammur and his second wife, Guðný Böðvarsdóttir. He had two brothers, Þórðr Sturluson and Sighvatr Sturluson, two sisters and nine half-siblings. By a quirk of circumstance Snorri was raised from the age of three by Jón Loftsson, a relative of the Norwegian royal family, in Oddi, Iceland. 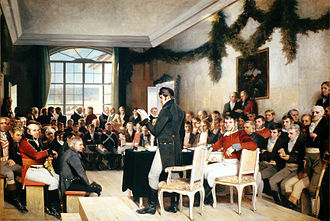 The resulting settlement would have beggared Páll, but Jón Loftsson intervened in the Althing to mitigate the judgment and, to compensate Sturla, offered to raise, Snorri therefore received an excellent education and made connections that he might not otherwise have made. He attended the school of Sæmundr fróði, grandfather of Jón Loftsson, at Oddi and his father died in 1183 and his mother as guardian soon wasted Snorris share of the inheritance. The two families arranged an marriage in 1199 between Snorri and Herdís, the daughter of Bersi Vermundarson. From her father, Snorri inherited an estate at Borg and a chieftainship and he soon acquired more property and chieftainships. Snorri and Herdís were together for four years at Borg and they had at least two children, Hallbera and Jón. Encomium Emmae Reginae or Gesta Cnutonis Regis is an 11th-century Latin encomium in honour of Queen Emma of Normandy. It was written in 1041 or 1042 probably by a monk of St Omer, until 2008 it was believed that there was just a single manuscript surviving from that time, lavishly illustrated and believed to be the copy sent to Queen Emma or a close reproduction of that copy. One leaf has been lost from the manuscript in modern times, a new manuscript has been found in the library of the Earl of Devon however, believed to have been compiled in 1043, around two years after the other surviving text. It adds detail to the content, showing the rise and succession of Edward the Confessor in a positive light. The other manuscript offers him just a fleeting mention, the new manuscript has been acquired by the Royal Library of Denmark. 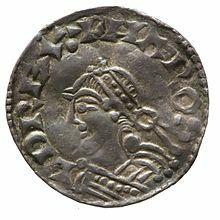 It is usually thought that the text was written in 1041 or 1042, Emmas son by Cnut, was king of England and Edward, her son by Æthelred, had been invited back from exile in Normandy and sworn in as Harthacnuts successor. The presence of a king and another claimant to the throne was a recipe for social unrest, especially considering that Edwards brother, as the portrait emphasises, the work appears to have been specifically directed at Harthacnut and Edward, instilling a message about their past and future. As such, the Encomium is a biased and selective work. Despite its shortcomings the Encomium is an important primary source for early 11th-century English, the anonymous author, often simply referred to as the Encomiast, was probably a Flemish monk, as he identifies himself in the text as a monk of St Bertins or St Omers. The Encomium is divided into three books, the first deals with Sweyn Forkbeard and his conquest of England. The second deals with his son, Cnut the Great, his reconquest of England, marriage to Emma and period of rule. The third deals with events after Cnuts death, Emmas troubles during the reign of Harold Harefoot, the form and style of the text are much indebted to classical authors. Vergil and his Aeneid are explicitly cited in the letter and in Bk I, Ch.4, while influences from Sallust, Ovid, Juvenal. The Code of Hammurabi stela depicts the god Shamash holding a staff. Statue of Jupiter in the Hermitage, holding the sceptre and orb. Farmhouses in Småland are typically red with white corners.